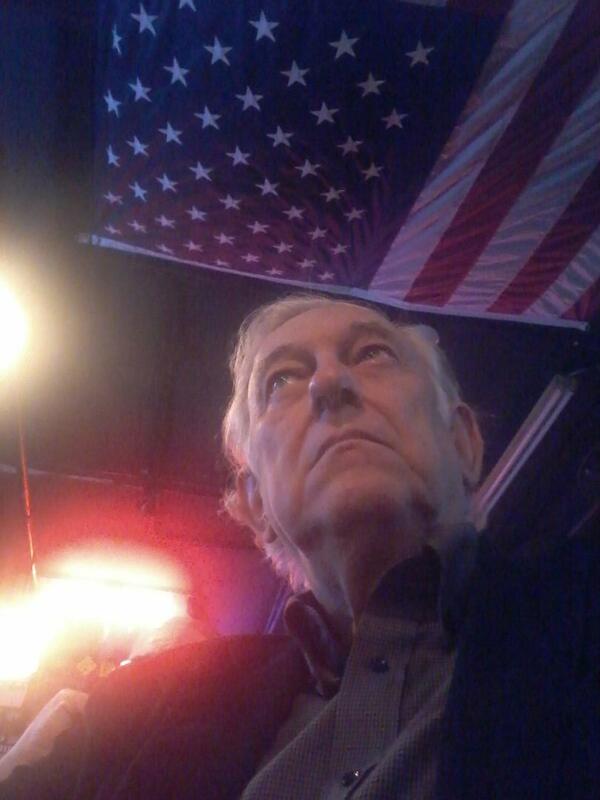 A Disgruntled Republican in Nashville: Libs play their you'r-a-racist card to combat Alexandria Ocasio-Cortez humor. Libs play their you'r-a-racist card to combat Alexandria Ocasio-Cortez humor. Liberals have played their yo'r-a-racist card to combat Republicans who are enjoying exposing and poking fun at the stupidity of newly elected Representative Alexandria Ocasio-Cortez. 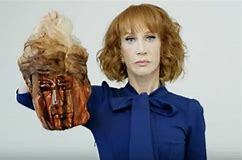 Late night TV entertainment and award shows and stand-up comics routinely make fun of Donald Trump and Republicans and some of their comedy gets pretty raw, even attacking President Trump's family and they find humor in encouraging violence. However, they can't take a joke and they try to shut up conservative who poke fun at a Democrat. The biggest weapon in their tool box is the you'r-a-racist hammer. 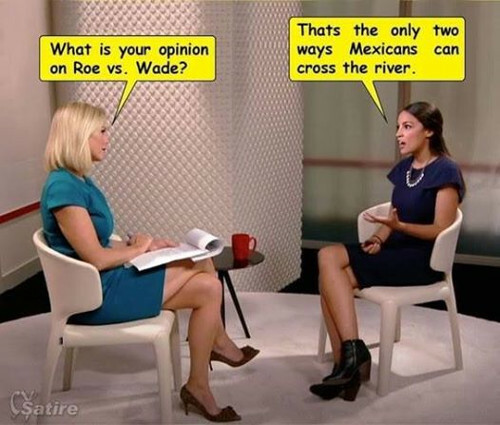 Surely, one has to admit that Alexandria Ocasio-Cortez is pretty funny. She may be bright in some ways, but I haven't seen it yet. She is attractive, in her own way. She is cute. She is charming. She is vivacious. I really like the bright red lipstick. But face it, she is not very informed. She must have read few newspapers and not paid attention in class. She knows very little about geopolitics or the Constitution or history or economics. Every time she opens her mouth she says something really stupid. I wonder if she has ever read a serious book. She gets a lot of stuff just wrong and her opinions are just liberal sound bites and bumper sticker slogans. There is not a lot of depth there, to be generous. To be less generous, one could say she is dumb as a box of rock. The last time I remember a politician saying anything dumper than the things Alexandria-Ocasio says is when Representative Hank Johnson said he feared that stationing 8,000 Marines on Guam would cause the island to "become so overly populated that it will tip over and capsize." So, Alexandria Ocasio-Cortez is not the dumbest Congressman to ever serve, just the next to the dumbest. People knew Hank Johnson was dumb and they didn't keep asking him serious questions. They let him maintain his dignity and just ignored him. Ocasio-Cortez is invited to share her opinions everywhere. And, every time she opens her mouth she shows she is shallow and uninformed. I think what is going on is that we have a generation of people about the same age as the congressman who don't know more than she does, yet they think they are educated, so they think she is smart. Sort of like the the scarecrow in the Wizard of Oz who got his Certificate of Thinkology and then was convinced he had a brain, many people, because they have a degree, somehow think they are smart. In Ocasio-Cortez's defense, she is young and may become more informed as time goes on. A lot of her ignorance my simple be due to her age and the times in which we live. Recently the Williamson County Republican party sent out an email blast and included was the above cartoon. I did not save the email so don't even remember what the text of the email was, but loved this cartoon. I got a chuckle. Now, the media is calling this "racist" and Democrats are demanding the Party denounce and apologize for the cartoon. I say, if you can't take a joke, screw you! For too long Republicans have allowed Democrats to set the standard of what is acceptable. There is nothing racist about this cartoon. To Democrats who are going ballistic over this: lighten up and get a grip.